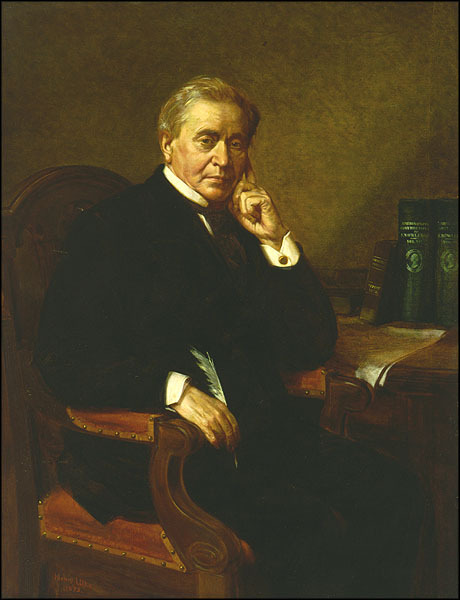 Joseph Henry (1797-1878) was the leading American experimental physicist of his day and the first secretary (director) of the Smithsonian Institution. His papers illuminate the history of American science, education, and culture during the first three quarters of the nineteenth century. The fifty-one documents in this mini-edition (from January to May 1847) are taken from his first year as head of the Smithsonian. They show Henry striving to ensure that the enigmatic bequest of British scientist James Smithson be used in America to support original scientific research and publication, rather than to create a national museum or library. Many of the documents also shed light on the social and political life of antebellum Washington, D.C. Also included are documents relating to Henry's roles as scientific consultant and researcher, such as entries from his laboratory notebook, the "Record of Experiments," which may be viewed in facsimile by clicking on a link provided in the document. Joseph Henry, oil on canvas, 1875, by Henry Ulke (1821-1910). National Portrait Gallery, Smithsonian Institution.